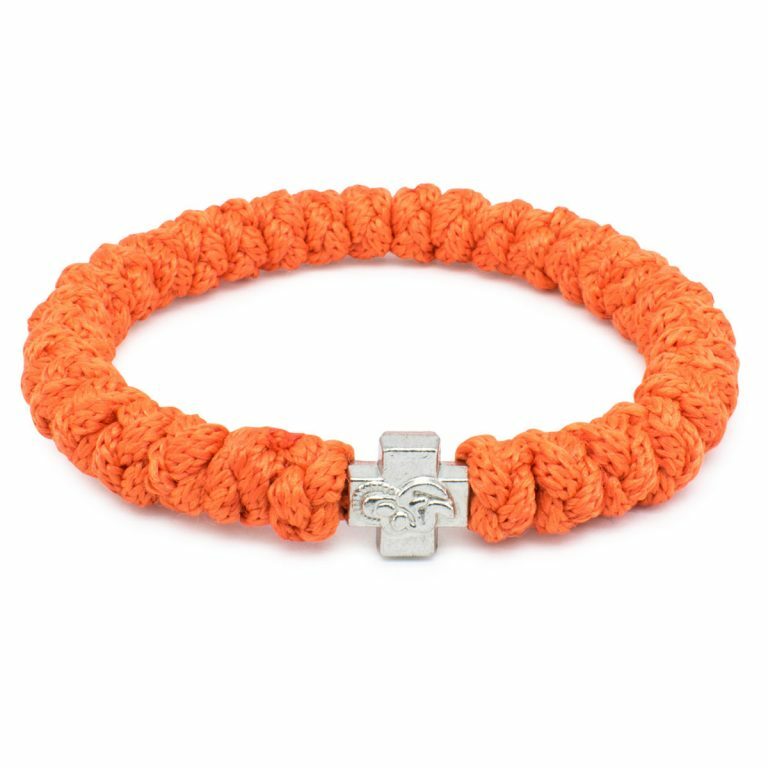 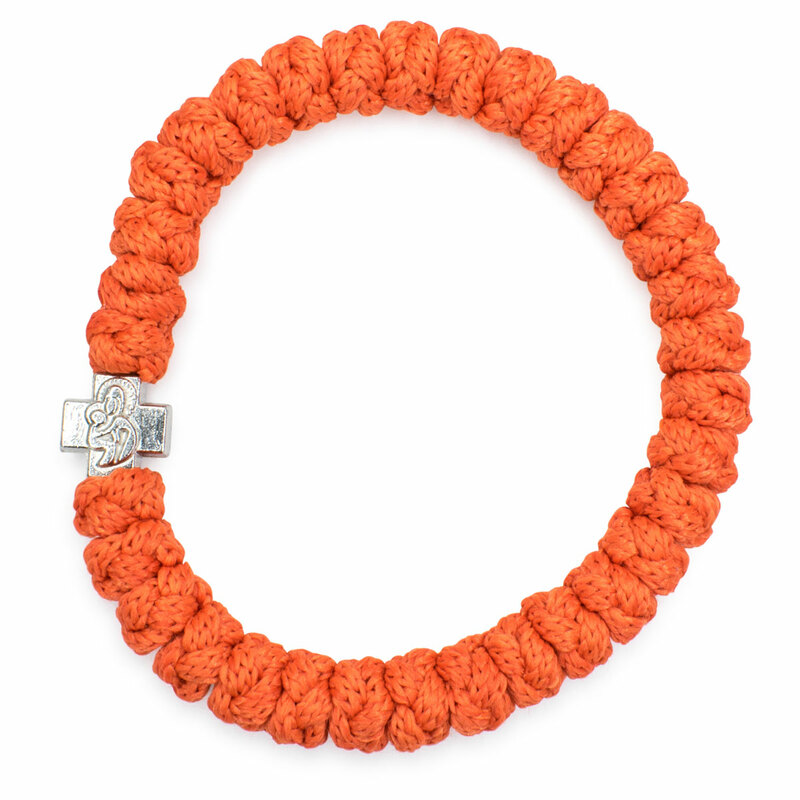 Wonderful handmade and original orange prayer rope bracelet. 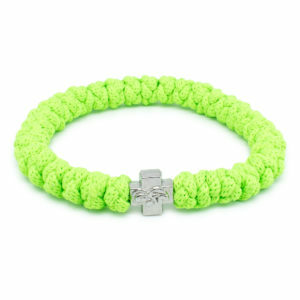 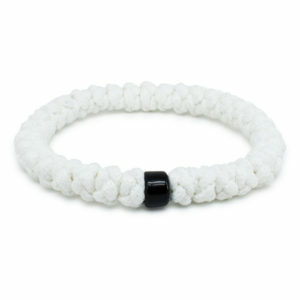 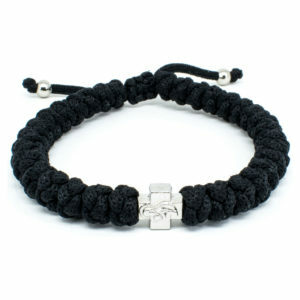 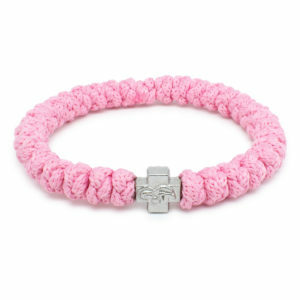 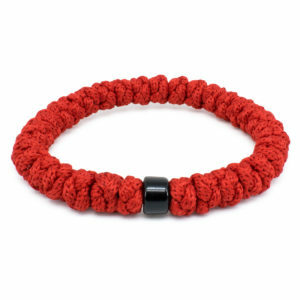 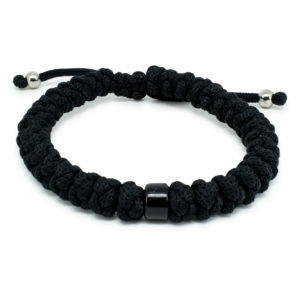 This bracelet is made out of synthetic non-allergenic rope and has one metal cross bead. 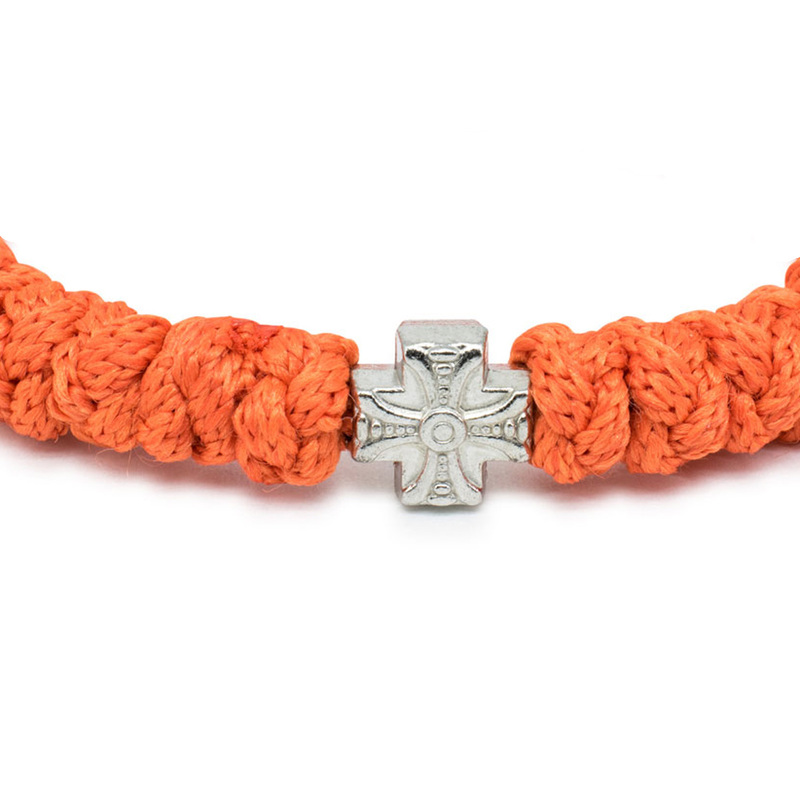 On one side of the bead there is a depiction of Holy Mary and on the other a decorative cross.